Johansson Yamaha Official Junior Enduro Team rider Kyle Flanagan has wrapped up his Enduro Junior World Championship debut with a set of 15/17 results at the GP of Italy. Collecting valuable experience during a long and challenging weekend of racing in Edolo, the young South African rider now has his eyes set on continuing to make progress aboard the team’s WR250F machine. Joining the Johansson Yamaha Official Junior Enduro Team for the last three rounds of the championship as a stand-in rider for injured Erik Appelqvist, Flanagan learned a lot during the first Enduro World Championship of his career. With muddy conditions and long and demanding special tests making the GP of Italy one of the toughest so far this season, Flanagan jumped straight in at the deep end of top-level international enduro competition. The weekend in Edolo started with Flanagan posting the 12th best time in the short SuperTest on Friday. Using his experience in technical enduro section to his advantage, the South African was strong in the extreme test throughout the first full day of racing on Saturday. 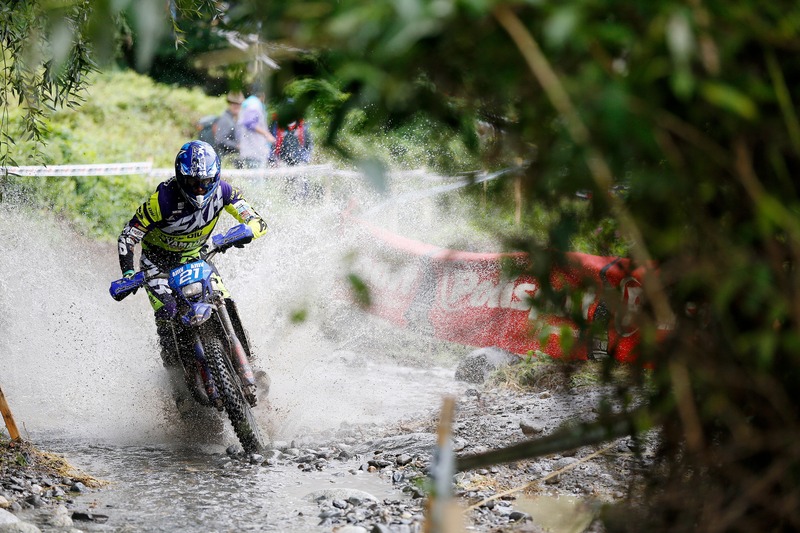 Posting top-seven times in two occasions in the extreme test, he ended the day 15th in the Enduro Junior category. Entering day two determined to improve on his test times, Flanagan kept posting better times on Sunday. Ending the day in 17th place, the WR250F powered rider will go back to work with the goal of returning stronger at the penultimate round of the championship in France. For Johansson Yamaha Official Junior Enduro Team’s official representative in the Enduro Youth category Marcus Adielsson, the young Swede collected a set of strong 7/6 results in the 125cc class during the weekend in Edolo. The Johansson Yamaha Official Junior Enduro Team return to action in Methamis, France for the penultimate round of the 2018 Enduro World Championship on September 22/23.